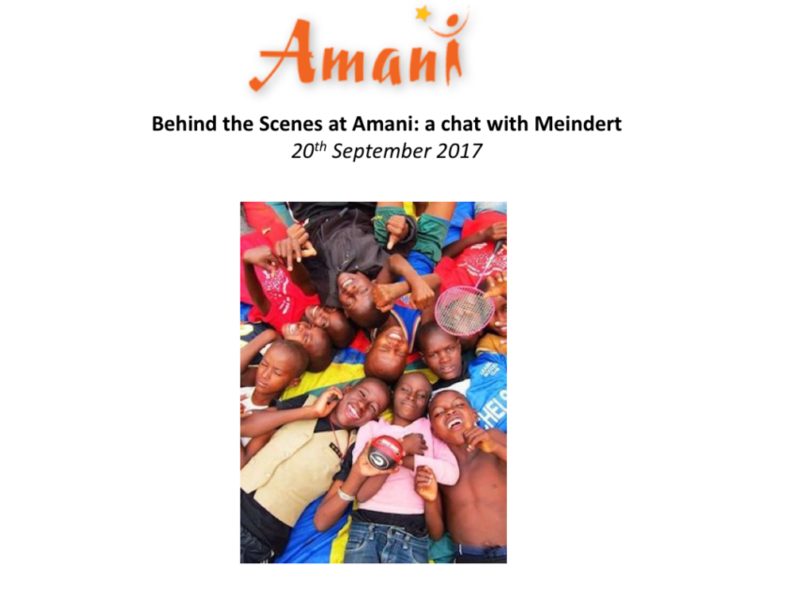 Our first live call with Amani was held on September 20th: it was a great opportunity to hear a live update from Meindert, Amani’s Executive Director, about life and kids stories at Amani. This is part of a new series of conversations, “Live from Amani”, that we will hold on a regular basis to provide news directly from Moshi, as well as to answer any question that the Amani community around the world may have. Live from Amani builds on our desire and commitment to stay in constant touch with our supporters and followers: so many amazing things happen at Amani and we want to celebrate each and every of them as much as possible. Hear Meindert provide an update on everything Amani has accomplished this year and their plans for 2018.